Abacus Mountain Guides started providing mountain adventures in November 2000. IFMGA Mountain Guide Mike Pescod started the business with MIC Mountaineering Instructor Donald King after working together for two years at Outward Bound Scotland. Don't expect anything off the shelf. We deliver the perfect trip for you based on the prevailing weather and conditions, your previous experience and aspirations! Abacus Mountain Guides Ltd is registered in Scotland, SC378703. Abacus Mountaineering and Nevis at Night are trading names of Abacus Mountain Guides Ltd.
Mountain Training Course Provider of Summer Mountain Leader Award Courses, British Cycling Tutor of Level 2 MBLA Courses. Jöttnar | Back to the Mountains from Jöttnar on Vimeo. During busy periods of the year we call on a small team of selected mountain leaders and mountaineering instructors who share the same passion for the hills as Mike and Donald. Your instructor might hold the SML, WML, MIA, MIC or IFMGA Guide qualifications, TCL or MBL Mountain Bike qualifications or British Cycling Level 2 or Level 3 MBLA. Mike also works as a mentor to MIC trainees who we use for winter guiding and instructing work. We only provide qualified and experienced instructors and guides but please feel free to ask about what qualifications your instructor holds. Instructors and guides are working for Abacus Mountain Guides as sub-contractors. They are responsible for your safety when you are doing the activity with them and they hold their own professional liability insurance for this. We make every effort to make sure the instructor or guide is the right person for you through our previous experience with them, their qualification and through training and mentoring them in their work. There are many guiding companies and event organising companies to choose from. What makes Abacus Mountain Guides the best choice? 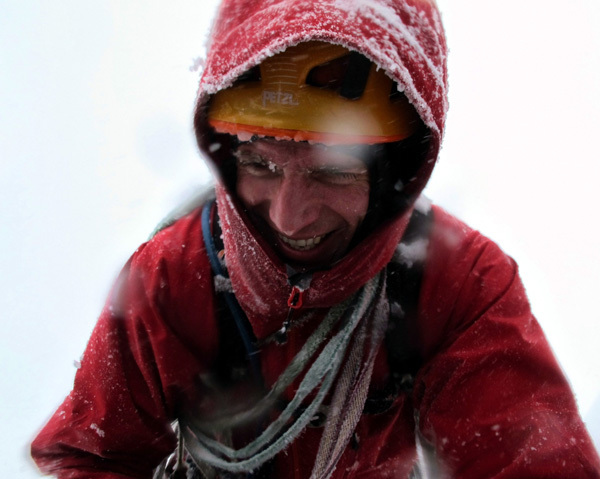 In charge of mountain safety we have Mike Pescod who is an IFMGA British Mountain Guide. This is the highest mountaineering qualification in the world and he has been working as a mountain guide since 1994. All of our group leaders, instructors and guides are qualified and insured, and many have been trained and assessed by Mike. Mike is a director of the Nevis Landscape Partnership which manages and maintains the Nevis area for us all to enjoy. Mike is a member of the Lochaber Mountain Rescue Team and this experience is invaluable when it comes to managing our own events safely. The Adventure Activities Licensing Authority (AALA) came into existence in April 1996. Adventure activities licensing ensures that activity providers follow good safety management practices. These should allow young people to experience exciting and stimulating activities outdoors without being exposed to avoidable risks of death or disabling injury. Abacus Mountain Guides holds an AALA License for hill walking, mountaineering, rock climbing, ice climbing, abseiling and mountain biking. Any provider working with people under the age of 18 must have this license if the young people are not accompanied by their parent. Since we hold this license we are able and very happy to provide our coaching and guiding to young people whether they are accompanied by a parent or not. You'll find more information about AALA here - Adventure Activities Licensing Authority.